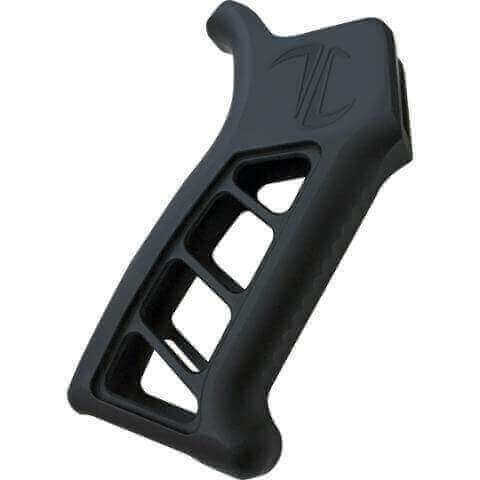 Timber Creek’s Enforcer Pistol Grip is a distinctive and ergonomic upgrade to your standard AR15 pistol grip. This grip is CNC machined from a solid chunk of billet aluminum, making it both rugged and lightweight. The skeletonized body, along with front and rear texturing allow for a variety of shooters to get a secure grip. Height, receiver to bottom: 4.75 in. I sent an email yesterday about this product. I still haven't received it yet. Thanks for sharing your feedback, Raymond. We're so glad you're satisfied with your purchase. Cheers!